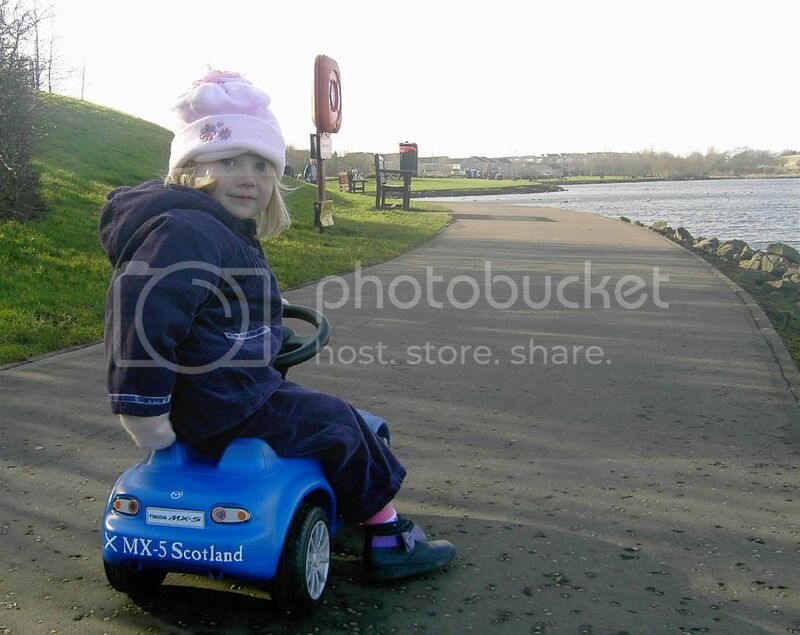 Introduce yourself to the MX5Scotland community here. Please read the "Sticky" post in this section before posting. Well, I was tempted out by the sunny weather and thoroughly enjoyed the first drive of my new MX-5 "in anger". 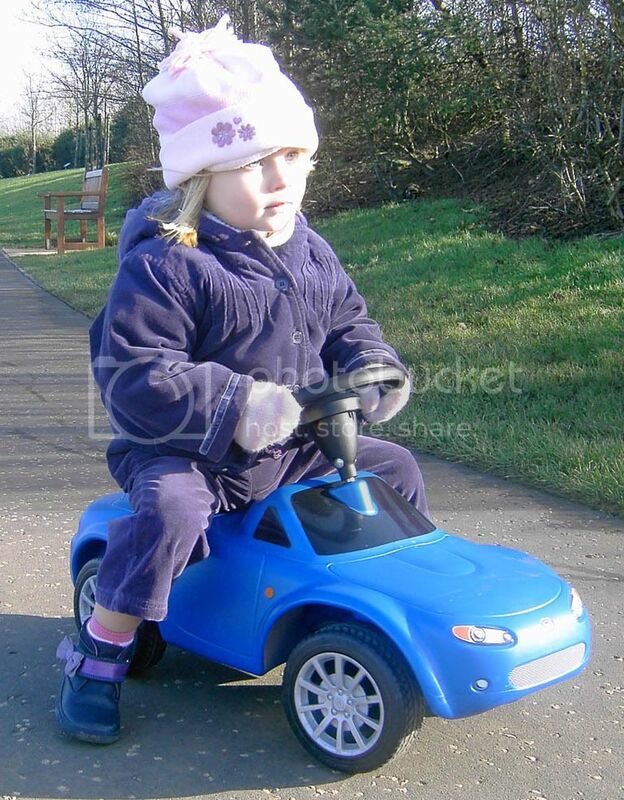 The handling is sublime, but I'm not keen on the ride height - I think I'll get a set of Eibachs like Daddy's. Hi and welcome Hannah . Your car looks great, nice colour too. Hope to see you at some events soon....well maybe in 16 years or so. Once the Sheriff, always the Sheriff. Supporting member of PHD motor tractors association. Maybe we should take the Z-sport back and get one of those! So glad you joined Hannah...your mk3 looks better than yoour Dads!! yea nice better put a k&n filter in it tho. Joe&Suzy wrote: So glad you joined Hannah...your mk3 looks better than yoour Dads!! I had to do a double take on the photo's tho. I gave Woolfy a shot of mines some weeks back.........and the scale is shockingly similar !!!!!!!! "Vigil In A Wilderness Of Mirrors"
Oi! Don't you know that metallic grey is subtle, classy and understated? I think my real MX-5 is being replaced by one of those...! I presume you are on course to address this matter? It doesn't have a roof. Location: not the end of the world, but you can see it from here or near Inverurie.